8 Lions kill 100 domestic animals in Bamba, Kilifi county as residents plan to protest over KWS laxity. - Bana Kenya News, Real African Network Tubanane. Home featured Mombasa 8 Lions kill 100 domestic animals in Bamba, Kilifi county as residents plan to protest over KWS laxity. 8 Lions kill 100 domestic animals in Bamba, Kilifi county as residents plan to protest over KWS laxity. 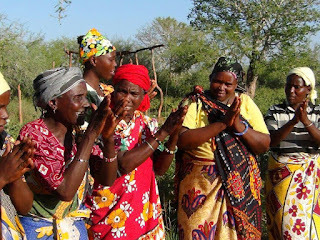 The residents of Ndharako and Shirango villages in Bamba, Kilifi county are now living in fear after a pride of lions Killed six cattle, sheep and several goats. The residents are now pleading the Kenya wildlife organisation to take good care of their wild animals. According to the Bamba ward MCA Daniel Mangi, the human-wildlife conflict has been existing for a quite some time while the KWS official relaxing in their respective offices. The MCA threatened to let the villagers take any action to any wildlife animal who will be found in their shambas. The pride of eight lions has disrupted classes at the only primary school in the area. The Jira Primary school located at Midoina in Bamba is the only school in the two villages. The schools had to change the timetable so that pupils report late and leave early for the fear of being attacked by the wildlife. According to the Shirango village elder Mr Barisa Thithe said the lions pose a great danger to the community which is yet to recover from the effects of drought. It is this year that the area had a one-day rainfall from the past one year. The Bamba MCA accused the KWS of not taking responsibilities of protecting the residents but instead raiding residentials, harassing innocent people in search of game meat. "If an elephant or a lion dies, more than three helicopters would be dispatched to look for the poacher.Since it is the lions which are attacking people there is no action being taken. I will mobilise the community to protest and they will find a hard time staying here. We will kill any animal who will be seen to endanger the life of our residents. It will be a mob killing, if the KWS will search for the poachers then the whole ward will be taken to task if possible" The MCA attacked the officials on the KWS laxity. Wild animals have become a thorn to us and the KWS. Lions, Cheetahs, Leopards, Elephants and Hyenas are always roaming freely around our homes. Killing people and our livestock. Our population has declined and livestock finished by these wild animals. In one week we have lost approximately 100 domestic animals." Said Thithe. The affected families have reported the matter to the KWS and have failed to drive the animals back to the park. The two communities are now in fear and also urged the county government to assist them.